The big race to watch last night for changes in AAPI political representation at the gubernatorial level was Republican Allan Fung’s campaign in Rhode Island; a victory here would have made Fung, a fiscal conservative, the state’s first Asian American governor. 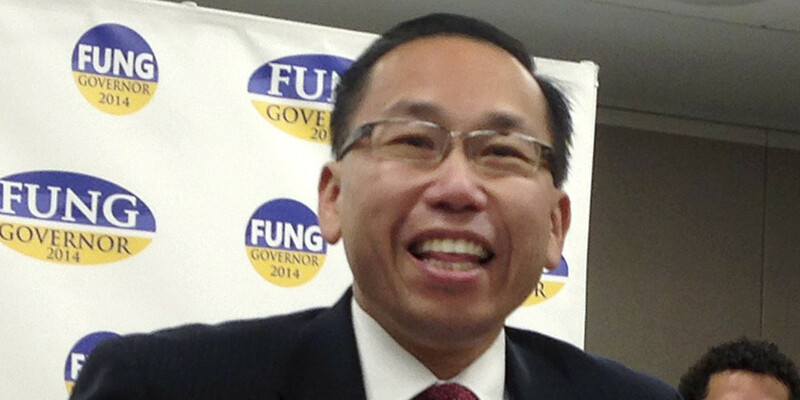 Fung’s race against former state Treasurer Gia Raimondo was always considered something of a longshot. Yet, early returns showing Fung in the lead particularly in southern Rhode Island neighbouring the city of Cranston where he once served as Rhode Island’s first Asian American mayor threatened these pre-election predictions. But, Fung failed to win over the rest of the state and Gia Raimondo was instead elected by a margin of 4 points to become the state’s first female governor. In Hawaii, State Senator David Ige cemented his upset victory in the Democratic primaries; in the primary, he bested sitting governor Neil Abercrombie by a landslide 2-1 margin. Ige faced off last night against Republican Duke Aiona — also AAPI — and (to no one’s surprise) won the state’s governor’s race by 13 percent. 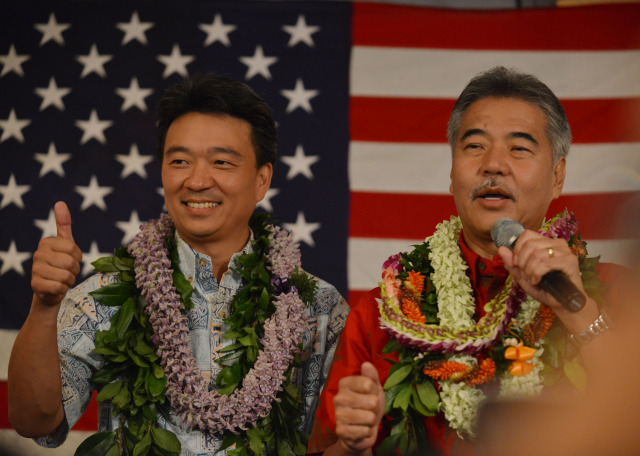 Ige will be joined by current lieutenant governor Shan Tsutui, who secured his own return to the Democratic ticket despite Abercrombie’s defeat — in the upcoming four years. In South Carolina, Republican AAPI governor Nikki Haley was re-elected by a strong majority. Thus, there are three AAPI state governors currently in office: Nikki Haley (South Carolina), David Ige (Hawaii) and Bobby Jindal (Louisiana). 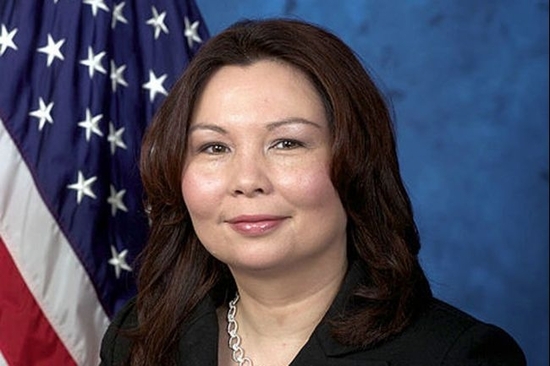 Of the 22 candidates running for Congressional seats last night, most AAPI incumbents retained their seats by solid margins — including Illinois’ Tammy Duckworth; California’s Doris Matsui, Judy Chu, and Mark Takano; and Hawaii’s Tulsi Gabbard. Grace Meng of New York was also re-elected in New York, where she ran unopposed. Two incumbent AAPI Representatives had a longer night, however. 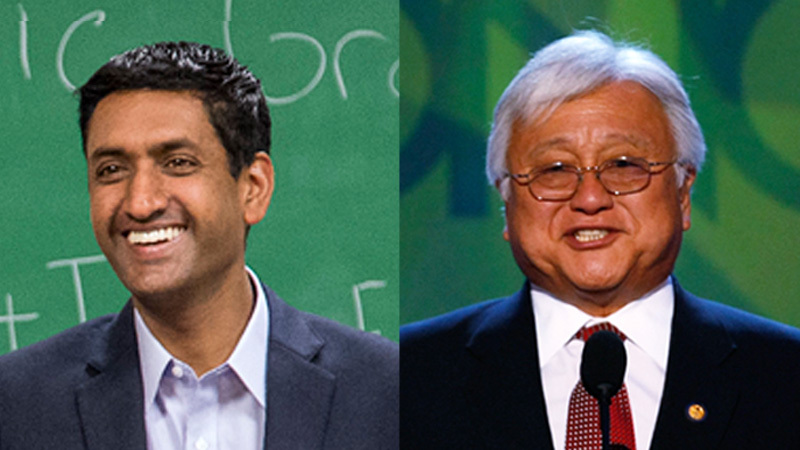 Ro Khanna and Mike Honda squared off in California’s 17th District yesterday. In California’s 17th district, the Congressional Asian Pacific American Caucus’ patriarch Representative Mike Honda faced stiff competition from local businessman and Democrat Ro Khanna, also AAPI (a peculiarity of California election laws permitted the race between two candidates of the same party, based on the close primary outcome). Both campaigns had waded waist-deep into the mud over the past few weeks, and recent polls showed Honda had lost significant ground in approval ratings over the last 6 months — a testament to the strength of the Khanna camp’s strong organization. Honda must have breathed a sigh of relief, therefore, when returns showed Honda maintaining an unchanging 8-point lead over Khanna throughout much of the night, and the race was called by morning. That being said, Honda should consider this race a wake-up call and endeavour to improve his outreach to California’s 17th District constituents; this race demonstrates a weakness in his support that someone will clearly attempt to exploit again in two years. As for AAPI hopefuls, none unseated an incumbent opponent and only a handful of candidates were able to win a vacated seat. Mark Takai of Hawaii’s 1st District won the seat vacated by Rep. Colleen Hanabusa after her primary defeat, keeping the seat both AAPI and Democratic. But, Roy Cho of New Jersey’s 5th District suffered a disappointing defeat to incumbent Republican Scott Garrett despite a strong campaign that at one point suggested he might be within a stone’s throw distance of unseating Garrett. 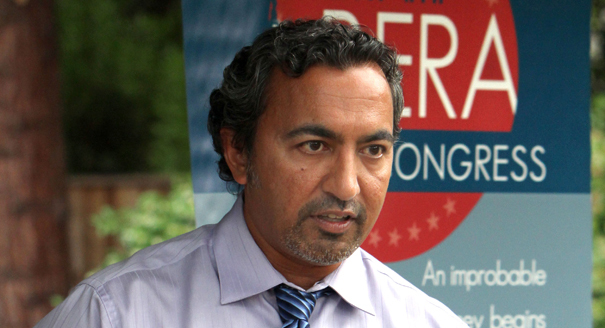 Pennsylvania’s Manan Trivedi (running as a Democrat in the state’s 6th district) and Maryland’s Arvin Vohra (running as a Libertarian in the state’s 5th district) also failed to come out on top in their respective races. Republicans Tue Phan-Quang of California’s 11th District, George Leing of Colorado’s 2nd District, and Charles Djou of Hawaii’s 1st District also suffered defeats. 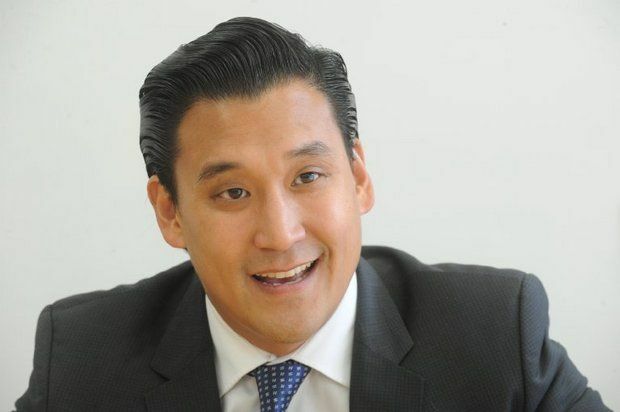 New Jersey Democratic challenger Roy Cho, who fought an unsuccessful bid to become Congressman in New Jersey. 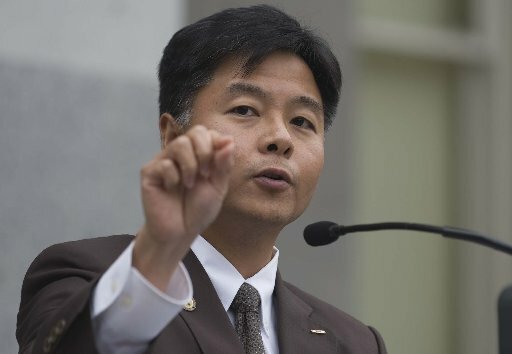 In California’s 33rd District, State Representative Ted Lieu, who recently was featured on this blog for his call on Fox News to fire Bob Beckel for his use of a slur on-air, was elected by a 17-percent margin to replace Democrat Henry Waxman in his recently vacated seat. 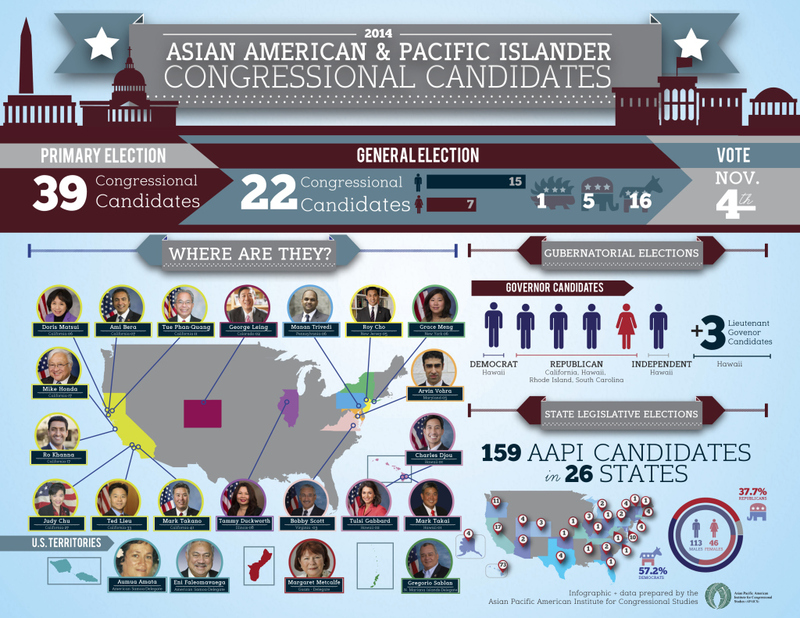 Lieu becomes one of only two new AAPIs face in Congress in the 2015-2016 term; the other new face is Mark Takai’s. While Lieu’s win is a potent victory for the AAPI community, I am of two minds: earlier this year, Lieu famously joined forces with other AAPI state representatives to oppose Senate Constitutional Amendment-5 (SCA-5), a bill that would have restored race-conscious affirmative action to the state’s university system. Lieu’s opposition to SCA-5 earned him the scorn of many Black and Latino Democrats in the state, and cost him six influential endorsements. I still find Lieu’s stance in opposition to race-conscious affirmative action a divisive position that jeopardizes any possible alliances with other progressives and communities of colour. While detailed numbers for AAPI voter turnout are still unavailable, early exit polling suggest that perhaps the biggest victory for the AAPI community from last night should be to AAPI Get Out The Vote efforts. Despite reports that last night’s electorate was both older and Whiter than in previous years, AAPI voters made up a similar fraction of the electorate as we did in 2012. 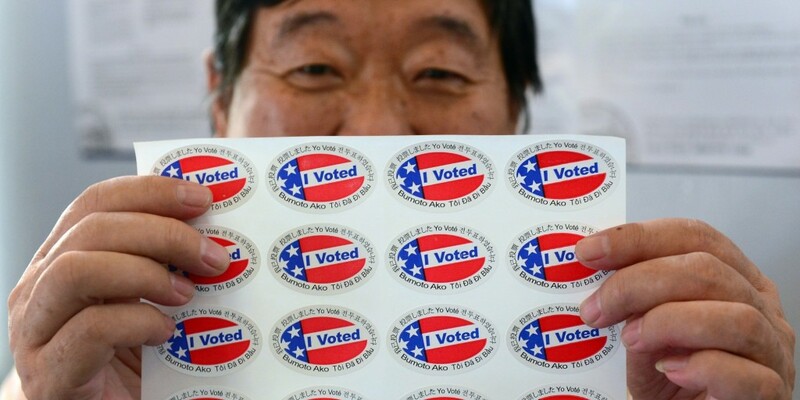 In 2012, AAPIs were approximately 2.4% of the nation’s registered voters, and this year, we are approximately 2.9% or registered voters; in both years, CNN reports that Asian American voters were approximately 3% of the total electorate. 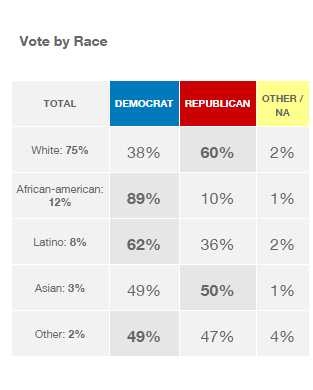 2014 exit polling from CNN reveal that 3% of last night’s electorate were Asian voters, and were evenly divided between support for Democrats and Republicans. In 2012, 73% of the electorate’s Asian voters (again 3% of the total) voted in support of Barack Obama. While these numbers seem underwhelming, remember that last night’s election was characterized by real and sensationalized fears of low minority voter turnout. And while there are some real issues surrounding the validity of these concerns (see an upcoming post for more on this), both Black and Asian voters appeared to turnout last night at roughly similar rates as in 2012, and likely better than expected by last week’s prognosticators. Meanwhile, early returns also suggest that it was primarily the Latino electorate, which made up only 8% of last night’s voters, who punished Democrats by staying home; probably as a justifiable reaction to the Democrats’ ongoing failures regarding comprehensive immigration reform. But, AAPI GOTV workers should give themselves a pat on the back. In a year where a combination of a Republican climate and obvious voter disenfranchisement efforts had a high likelihood of compromising AAPI voter turnout rates, AAPI’s still turned out to the polls in reasonable numbers. And while overall turnout is likely depressed, AAPI GOTV workers held our own in ensuring a respectable AAPI representation among this year’s voters. Furthermore, national exit polls emphasize our status as a swing vote: in CNN’s exit polling, our voters were evenly divided in their support of Democrats and Republicans. By contrast, in 2012, 73% of Asian voters — who were again 3% of the total electorate — supported Barack Obama. It is further likely that AAPI voters made all the difference in some of last night’s key races. One clear example is the neck-and-neck race between Virginia Senate incumbent Mark Warner and Republican challenger Ed Gillespie, which basically came down to the wire late last night and hinged upon votes cast in the blue stronghold of Fairfax and the surrounding county. This area of Northern Virginia contains a high concentration of Asian American voters: voters whom both candidates were heavily courting this cycle. With Warner winning with less than 3% of Virginia’s voters, it’s quite possible that Asian voters in Northern Virginia helped to deliver a Warner victory last night. Last night was characterized by quite a few disappointments — for Democrats and for AAPI politicos. But, really — we shouldn’t see last night as a defeat. We should see last night as a wake-up call, a chance to regroup and reassess, and to come back better and stronger than ever. Last night wasn’t what we deserved, but this only emphasizes how much work there is still to be done. Did you miss your chance to vote yesterday? I hope this post has helped to convince you that your vote could really make all the difference. If you’re not yet registered for 2016, click the banner below to register through this site’s partnership with 18MillionRising and RockTheVote. Update: An earlier version of this post erroneously identified Representative-elect Mark Takai of Hawaii’s 1st District as an incumbent. In fact, he won the seat vacated by Representative Colleen Hanabusa after her primary defeat earlier this year. I regret the error and thank @GenKim for correcting me. Previous Previous post: #GamerGate Supporters Having Trouble Telling Two Asians Apart?